The self-defense classes for children in The Hague are physical, fast , challenging in the form of various games. Focus is on the ” fun factor ” . As a result, your child will enjoy going to the training and progress rapidly . As children experience the training as a pleasant and fun activity , we offer a continuous and affordable training instead of the often much more expensive set courses. Through different exercises and games social resilience , perseverance and self-confidence will be shaped . 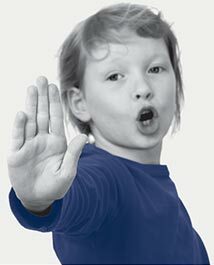 The children learn self-defense during the lessons and understand their own physical and mental limits. The exercises are focused on the children quickly experiencing success and therefore becoming much more resilient. The exercises and techniques are carefully selected from various programs and sports such as Krav Maga, judo and boxing . Each self-defense training for children is a fun way to focus on strength, endurance and flexibility . After the training everyone gets a piece of fresh fruit as part of our promoting health campaign . Candy, energy and other sport drinks are not welcome . The design of the self-defense classes for children in The Hague is focused on a wide range of skills . This is the start for each workout session. Children are becoming more resilient, healthy and social. They can defend themselves against bullies at school and gain insight into the various forms of responding to threat (mentally, physically and verbally). They learn to control themselves in different situations and gain self-discipline as well. To sum up, all the basic skills are addressed in a fun and active way during our sessions.